Get access to exclusive discounts, education and videos! Keep up on the latest research and trends in Japanese healing. Enter your email to join the club! I’m not sure when ashitaba plant first became popular in the modern times. But clearly, it has been really well-known in China and the Japanese islands of Izu. These are where ashitaba came from, where it has become part of indigenous people’s local diet for for thousands of years. Ashitaba has many names in many countries in Asia and the US: Tomorrow’s Leaf, Earth Growth, Angelica Keiskei Koidzumi, 明日葉 Ming Re Ye. It belongs to a family of celery and it looks like giant parsley. Also known as tomorrow plant, ashitaba is both taken as both medicine and edible green vegetable. It can be served in meals and also in snacks or drink. It tastes very vegetable-like, nothing fancy. However, you probably can’t get tired of taking it because of its amazing benefits. Ashitaba acts as immune system stimulant, which has inhibited the growth of unhealthy cell mutation. It helps to maintain the healthy function of the intestines and stomach, while also possessing possible anti-viral, anti-bacterial, and anti-acidic agents. If you have a tomorrow plant at home or have friends who grow ashitaba, you may find the following tips helpful. First thing you need to do is harvest tomorrow leaf from the plant. You can either take the leaves individually or pull the entire plant from the soil. Another way is to take clippings and allow the plant to continue growing. One other alternative harvesting the ashitaba leaves from the plant is pinching them with your fingernails. If you don’t want to have your newly manicured nails to be dirty or spoiled, use scissors. Secondly, you must dry the tomorrow leaves. For best results, hang a bunch of leaves upside down and tie the stems together with any kind of string with length of about a foot. You can also use a nail or a hook to do this. Remember, keep the tomorrow leaves away from sunlight to dry them—and stay out of humidity. You just have to wait for at most a week for the leaves to be completely dried. If you can’t wait that long, you can dry the tomorrow leaves by laying them out on a towel for about five minutes. If you’re thinking that you will be only getting the leaves to make tea or capsules, you’re wrong. You have harvested the entire plant for a purpose. If you took only the leaves, also take the stems separately because they are providers of many health benefits as well. To make ashitaba tea or capsules, break up the pieces of dried tomorrow leaves and stems. (You may cut the stems with a pair of scissors.) Then, put them into a clean Ziploc or small plastic bag. Get a thin dish towel and roll a rolling pin back and forth over the bag about 10 times. If you don’t have all these materials and don’t want to exert this much effort, you can plainly use a knife or scissors and dice the leaves into small pieces. Your aim is to have the leaves look like those usual tea leaves sold in commercial stores and not for them to become powder. If you have achieved the size small enough for you to easily measure them with a scoop, celebrate success at this point. Next is to get the capsules and insert the small pieces of “crushed” tomorrow leaves inside, and you’re done. If you don’t want to go through this process, you can simply buy ashitaba capsules from me here in the link. To make tea, boil them into water for about 15 minutes and drink your homemade ashitaba tea from your favorite cup. Do not limit yourself to only making tea. You can also add the tomorrow leaves into an orange juice or any fruit juice. Explore! Treat it as any other vegetable. You can make ashitaba ice cream and smoothie—and the list goes on! You can add it on a bowl of salad as healthy toppings or as ingredient in a bowl of hot soup. For soups and salads, you don’t have to smash the leaves or cut it to smaller pieces. Instead, just add one fresh ashitaba leaf or shoot for every two cups of soup or salad. Remember to wash them first or blanch them with cold water and perform the same drying procedure as advised above. When done, at the end of the cooking process, stir the ashitaba leaves into the soup. This is to calm down the bitter taste a bit to your dish. Another idea is include ashitaba as part of your plating; add them as garnish before the soup goes to the table. And voila—startle your family with your homemade healthy gourmet dish! My question is, “Is okay to eat a lot of ashitaba leaves for health benefits?” I read that for some people, ashitaba provides side effects like itchiness. Not sure about this one though because I have never experienced it or have known family and friends encounter this before. If you’d like to answer, please place your comments below. I've heard a lot about Ashibata but not sure if I've seen one yet. I'd love to try it on salads. Just plain ashitaba salad can make a meal. Use the stems & leaves, after washing and drying them add the salad dressing made out of lemon juice + olive oil + salt, and there you go: salad full of good stuff! Hello, after reading your article, I am fully convinced of the health benefits of ashitaba plant. What I want to know is is it safe to place them in water about 2-3 days and thereafter drinking the water? I am an avid fan of ashitaba. I eat them also by putting some ranch dressing on its big leaves. I even ingest around 10-15 leaves per day. I must admit that whenever I check my blood pressure, it’s always low. Yes you can place that. It will taste good if you will put that in your refrigerator. i been doing that at home. I am now intrigued further with Ashitaba Plant as it can improve my immune system. Yup it can. Ashitaba is so underrated and underused here so maybe we can start with a few people who's got testimonies about ashitaba improving the immune system then make them go viral. If it looks like giant parsley, does it taste like parsley too? I am not sure if I've seen ashitaba plant before. Nice to know that it provides a lot of benefits and can be eaten in fun different ways. Yes, somewhat they taste the same: bitter. But I think parsley is less bitter. Bitters help digestion! Hi! I want to know if where I could buy the ashitaba plant. Please!!! I don't know of any stalls selling the real ashitaba plant, but for the gyunra procumbens, you can buy them from sulit.com.ph, Quiapo, Greenhills, The Puzzle Mansion in Tagaytay, and several shops which sell different types of herbs and medicinal plants. We have this plant in our backyard. We will try making tea following your instructions. Really?? You know you might be one of the few people here who has that plant growing in their homes. 😀 Nice! Hi Jane. 🙂 We are the same. I hate chewing on and on… it's so tiring. It's nice to have something that's so nutritious yet easy to eat. Well, too much of anything is not good as what they say. Indeed, ashitaba has a lot of benefits. For me, taking the leaves about three times in a week (alternately, the capsules) is totally worth it for the lack of sickness alone. The fact that I am protecting myself from future health problems is an added bonus. About your note regarding this plant as you have said it can improve the immune system. How? I'm just curious about it. Can you elaborate it further. Ashitaba is all over our place, has tried eating it raw 'coz accordingly it cures most diseases, ha!ha! just tried tasting it. I've only heard about Ashitaba from your blog, or might be was not really that interested before, but since you've mentioned the benefits here, I wonder where I could buy it here in Davao. Yeah it seems that there's less than 10 blogs who have information about this wonder plant. I'm super interested in ashitaba that's why I set up one to make everyone know about it. 😉 In Davao I have met some gardeners and growers of plant but I've not seen anyone selling the real ashitaba. I am really curious about the Ashitaba, I want to have it in my garden.I got to check the seed store online and will order for next years spring to plant. I really want to tr this ashitaba..
We have it growing here in Sacramento! A friends started some plants (seeds from Horizon) and it is thriving in my shady front yard. I'll be making my first smoothie this week. We have this at home. My mom planted it on pots only. Its amazing how it can grow easily. I tried chewing it once but sad to say, i didn't like the taste. I'll try to make a tea out of it now that i know its health benefits. Thank you very much for the info. Haha if you don't like the taste but want to get the health benefits out of ashitaba, you can try mixing it with honey or other fine ingredients to make a meal. Ok, i'll definitely try it. Thanks! I eat 7 fresh leaves a day. Is there an overdosage if I will eat 7 leaves or more? I don't think you'll ever get over dosage for eating herbs. Yes my aunt turned me on to ashitaba tea she lives in long beach. I live in Portland and she just recently sent me a plant…so I planted it and pulled all the bad leaves off, less then a week and it rooted and now is growing very nicely! I have a question though…it will not grow throughout all the seasons? Just certain times? Based on experience, the plants don't grow well in hot zones so in terms of "seasons," ashitaba won't quite adapt to summer. I buy the seeds from Horizon herbs online for 20 USD. I have about 10 plants growing in my window sill in Utah, I do have a grow light on them. They are only about 2 inches now, and got them at Horizon as well as some off Amazon.com and both look like the real Ashitaba. They are slow at growing but I cherish them as I know they will really make a difference for me. It was not hard to start them, they need lots of water and special care and lots of time. I still cannot wait till they are bigger for sure. In the mean time, it is fun to watch them and be amazed :). Thanks for the great info and personal stories! 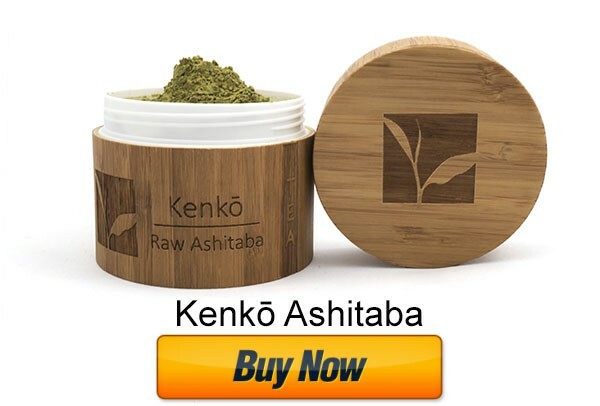 hi ms. rochkirstin, i tried one time to eat 3 leaves of ashitaba, afterwards i go to the cr to flash all my toxic, very helpful to those who are constipated. But when the second time i tried to eat ashitaba, there is a side effect i think, because my body feel very itchy and i stop eating ashitaba. How do you suggest, do you think its safe for me to eat ashitaba? Hi Kiko. I have heard a similar story before reported by a blog commenter here. Based on reviews on other journals, I suggest you see a doctor because apparently, the ashitaba has side effects on you. I'm guessing you have rashes right now? If fiber is all you need from ashitaba leaves then you can take other alternatives. Have you heard of Psyllium Husk? It's a very good source of fiber if you're not eating enough from natural food. You can get it from Healthy Options outlets. hi again ms. santos, may asthma kasi ako at kakambal ng asthma yung allergies kaya siguro nag trigger. Medyo mataas yun uric ko kaya d ako mainom ng laxative tea, kaya naisip ko subukan ulet kumain ng ashitaba. Yung Psyllium Husk, nasubukan kona yun, nakaka bloat lang ng tiyan. At first effective pero nung 2nd time na hindi na effective. Ang lago lago na kasi ng ashitaba namin sa house, gumagapang pala yun, malalaki yung dahon nya at berde. Matagal na yun nung nagka rashes ako dahil sa pag eat ng ashitaba. Naisip ko ulet kumain meron naman ako gamot sa allergies ko hehe dati kasi wala. Yup nakakabloat nga ng tiyan yung Psyllium Husk but it's effective especially on the first few days (huwag lang siguro masobrahan yung fiber kung hindi uutot nang uutot hehe). Is there any side effects if I juice (using a masticating juicer) ashitaba together with other veggies or green leaf? No side effect if you are mixing ashitaba with other food or drink but you might have allergic reaction to ashitaba as some people would have skin rashes. Best is to talk to your doctor if this happens. Yes, just wash the leaves first with water. I'm planning to juice the ashitaba by using cold press juicer. I have some questions for you. SHould i juice it with the stems or just the leaves? Do you know a combination of fruits or vegetables for it to taste better? Or should it have a dominating taste among the mix fruits/vegetables? How long to the leaves grow back? Good day! May I know if Ashitaba can treat cancer? Thanks, I just want to help my friends. Please! Hi Ruben. Ashitaba secretes a yellowish substance called “chalcone” and a type of mineral that promotes the production of interferon. Chalcones is found to be a potent antioxidant that protects our body’s cells from damage. This is attributed to the aging process and many degenerative diseases including cancer. This is based on the Japanese book Ashitaba and some scientific paper however I don't have anyone I know who can testify on this account. Hi Jinlai. I suggest you crush the ashitaba leaves and make it as powder. Mix with any fruit juice and/or milk to make smoothies or fruit shake. Do you have to dry them? I would like to juice them and to my smoothie in the mornings, I really don’t want to process them, is there a reason you instruct us to dry the plant before eating the leaf in salad and such? I don’t want to hurt the benefits, but if I can cut a leaf, walk into my house, put them in the juicer or blender, what is the purpose of drying them ? The purpose of drying is for tea or preservation. What you are doing is ideal go for it. Yes, you can cut the leaves (which include the stems) and the plant will regrow. Haha that's a good price to pay already for real ashitaba (make sure they're not gynura procumbens). hi rochkirstin, does gynura procumbens can cure cancers and other illnesses as well as ashitaba plant? We can't be certain about that because there are no medical documentation unlike ashitaba plant which has already been scientifically tested. A friend of mine told me to pick 3 leaves, wash and eat daily . She gave me two stem from her plant . I put in water and now have roots and new leaves. My question is -could I eat the fresh leaves? Yes, fresh leaves are great! If you’re ever in Baguio City, ashitaba seedlings and plants are sold directly adjacent from the Cathedral where souvenir woodcraft and vegetables are sold… the rooftop of Porto Vaga. Is it good for high blood and diabetic …and Ihave acid reflux ? Can I eat that .. I used to picked three fresh leaves,and washed them and swallow like an salad..( you can do it before your breakfast for a better results)everyday if you have this ASHITABA in pot or direct to the ground all season’s will grow..
Ashitaba Plant Copyright © 2019.